Games media giant IGN has had to remove its review of Dead Cells after it seems the author copied the thoughts of a YouTuber. Deadite from Boomstick Gaming uploaded a video (below) comparing his video review from July 24th to that of IGN's Nintendo editor Filip Miucin which went live yesterday. The similarities between the two are uncanny, with the two pieces following the same structure and covering the same points. Following Miucin being publicly called out, IGN has removed both the written and video reviews and has replaced the former with a statement on the matter, which appears to be under investigation internally. "As a group of writers and creators who value our own work and that of others in our field, the editorial staff of IGN takes plagiarism very seriously," the outfit wrote. 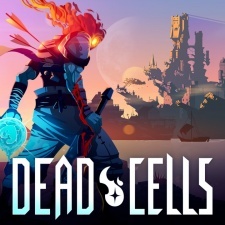 "In light of concerns that have been raised about our Dead Cells review, we've removed it for the time being and are investigating." This will no doubt be used by anti-games media types to throw all manner of slurs against journalists in the field. The reality is this appears to be one bad actor and isn't representative of games journalists as a whole. But we know you've already made up your minds about us. And fair play to Deadite for how he has handled this. For all the talk and drama about the 'traditional' games press versus personalities on YouTube and Twitch, his video explaining the situation was very calm and very well thought out. Dead Cells launched on PC into Early Access back in May 2017 and in its first year had shifted 730,000 copies. We caught up with developer Motion Twin to see how the French studio worked to combine elements from the Metroidvania and roguelike genres.